This is DIY central! 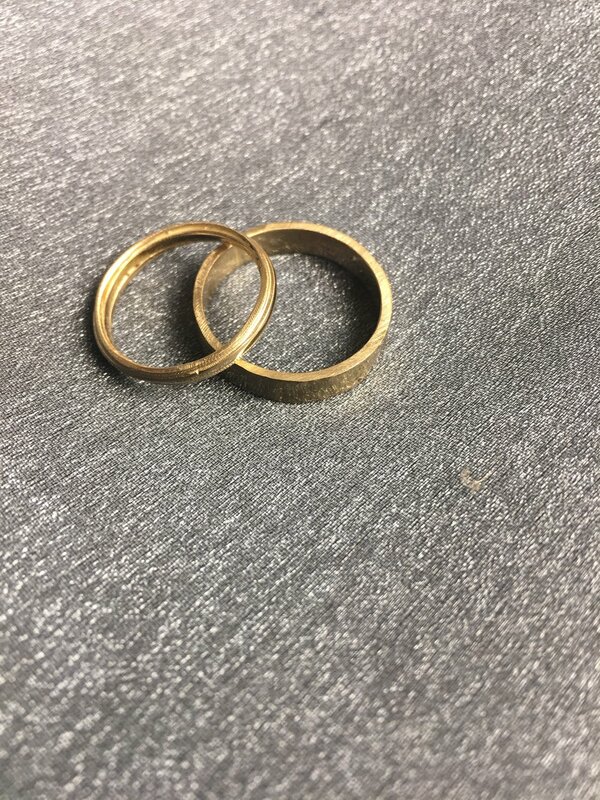 Here anyone can make their own Wedding bands. Beginners, and experienced DIY enthusiasts will feel equally at home. During the wedding ring workshop process, a couple spends two days creating their wedding bands together. It is a fun, and enjoyable way to make a meaningful piece of your wedding come to life. Couples will work together with Master craftspersons Daniel Macchiarini, or Emma Macchiarini, to build a unique,and lovely, hand crafted set for their own wedding! Getting started involves picking stones, metal, and sizing. The couple then moves to the designing phase, and comes to a decision about whether to cast or fabricate their rings. The decision is largely based upon the design of the ring that is desired. Fabrication can be faster, and may involve rolling, filing, soldering, and polishing, all of which can be done in the initial 4 hour session. If the couple decides to cast their rings, they will begin to carve their own hand crafted wax bands. 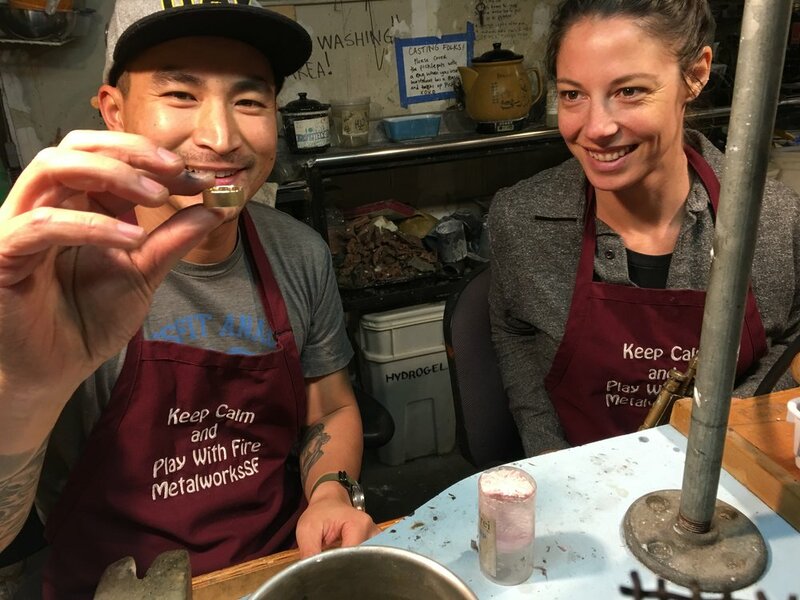 on the next working day, the couple will cast the rings into metal, and polish them until they shine! In either case, the couple will have a bonding experience like no other. In this workshop you will have created your own one of a kind, beautiful wedding bands. Sometimes, additional time, or work, is required for stone setting or polishing, and this final stage would be completed by one of the master craftspersons in our studio shortly after. All stones, metal and any inlay, or settings are NOT included in the price of this workshop. Nick and McCall Red Gold and Saphire! From one made two. 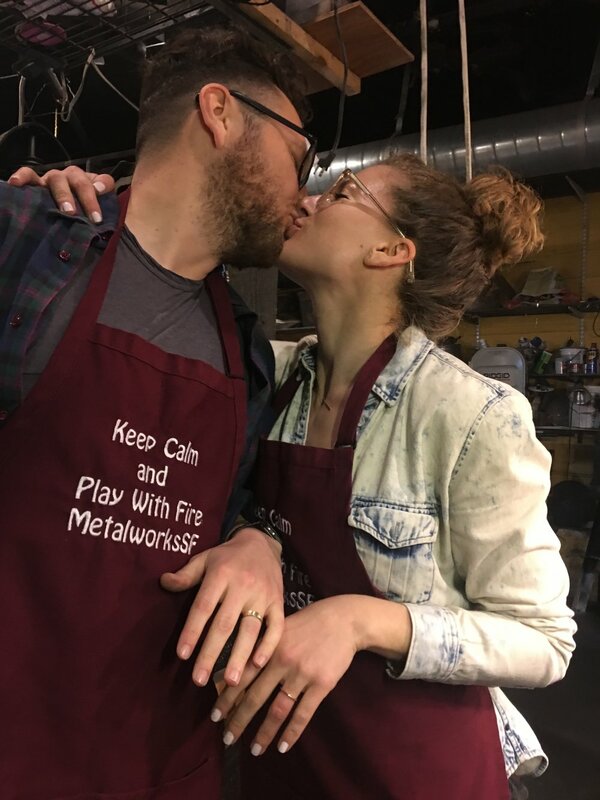 Dan and Isa: Meteorite Marriage! Special Thanks to Adam Zawalich for creating this video.